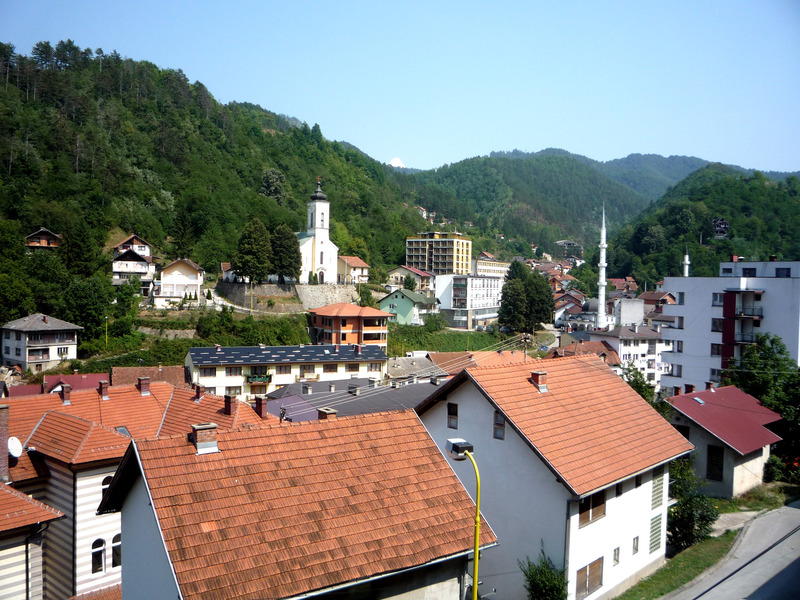 From the 11th to the 23rd of August, I was fortunate enough to be in the gorgeous town of Srebrenica in Bosnia & Herzegovina with over 100 other young people. We had come together from seven countries across Europe for the first stage of The Complete Freedom of Truth. During the first week, we were able to take part in a number of taster workshops, which enabled us to choose the workshop we would stick with the following week. I decided to get a taste of poetry, making choices, ensemble theatre and music, which were enjoyable and insightful in different ways. They also allowed me to explore various aspects of who I am. The music workshop provided some truly beautiful, emotional moments that I will treasure forever, but it was the poetry workshop that had the biggest effect on me. Our workshop co-ordinator, Amy, emphasised that “the power of words is really important” — which I think is very true — and we discussed the possibility of our words making a change. I’m all about words making a change, so this was a perfect fit for me, but it was amazing at how much I learned about myself in those few hours. The main thing I realised is that I’m actually better at writing poetry than I think and that poetry, particularly spoken word, has the ability to say a lot and possibly influence change. After the tasters, everyone had the opportunity to choose between music, ensemble theatre, dance, street theatre and Parkour. 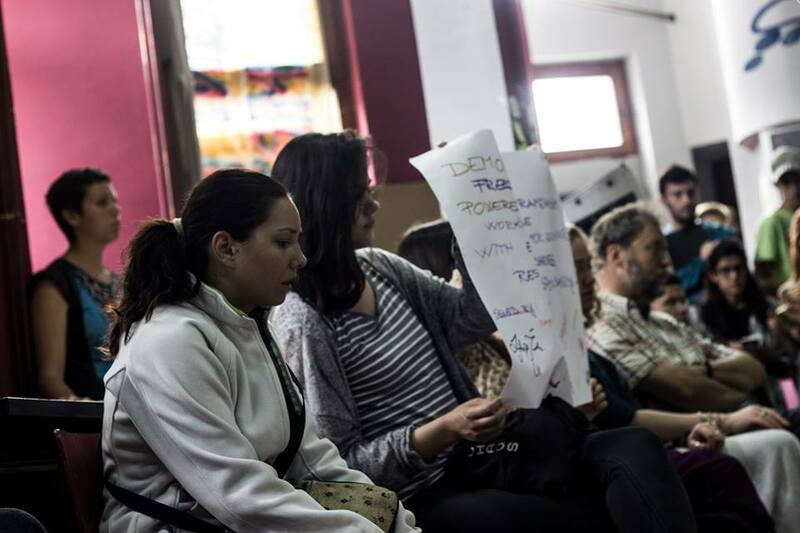 There was also the option to take part in a workshop to help people get a better understanding of the world we live in, and what we can do as politicals and artists to relate who and what we are to the world we live in. Each of these workshops resulted in a showcase of performances on the final Friday, which allowed everyone to display their creativity and the skills they had developed. However, we had also been treated to various performances and presentations throughout the two weeks, including a film night, a finger puppet show and a stunning collaborative dance performance. ‘Collaboration’ was the key term during our time in Srebrenica, with numerous individuals using their teamwork skills and collaborating to create special pieces. Amy, Eilis, Dave, Zoe, Izzy and Emma, six young individuals from the UK, came together to create a beautiful short film — they also took their collaboration further by bringing in some extra help from others. I also enjoyed collaborating on a poetry and imagery piece with my two roommates, Naomi and Ellie, who are also from the UK. My favourite moment though, was a musical spoken word collaboration by eight individuals with differing creative talents. The whole performance gave me chills, as they recited emotive spoken word verses and sang a stunning chorus with the words: “There is light at the end of the tunnel, I will rise and take my place”. There were a number of things that made TCFT an incredibly special experience, but for me, the best thing was watching all of the young people get fully involved in the process. Everyone wanted to be doing something and have some sort of purpose, which is not always the case when it comes to youth. It was evident that each individual wants to make some sort of difference and progress forward in their life, which was great to see. Time spent working with each young person was a good experience and I want to be able to bring this spirit to Croydon. Being a part of TCFT was like being part of a big family with a common goal and a common purpose. It was amazing to be around so many inspiring, talented young people and watch them grow throughout such a short space of time. I know that I grew and gained a whole lot, which I will be taking forward in all that I aim to do here in the UK. Photo by Naomi Gabriel and used with permission. All I can say now is bring on next year. Going to Bosnia and taking part in The Complete Freedom of Truth was an amazing experience that I will treasure forever. I learnt a lot, gained a lot and made a lot of new friends, so of course I can’t wait until next year. This is what I got up to with these amazing young people.